Medium Project 5-4, Patio Area » Roger Perron Inc. Here, we added a pool, trellis and patio area. The pool has a waterfall, as you can see beyond. The concrete is stamped on a diagonal design. 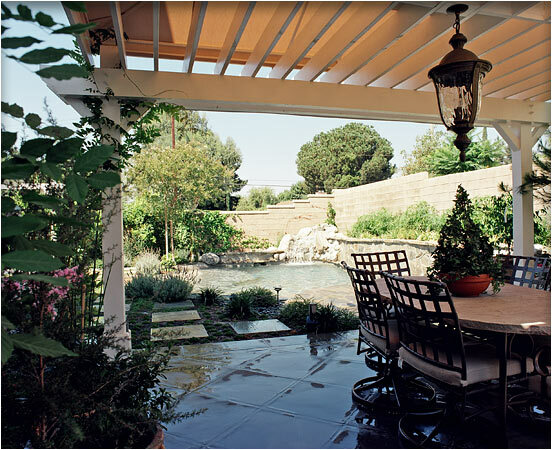 This patio provides a wonderful dining and gathering space for good conversation. Yard remodel designed by Antonino Bruno, architect, and Roger Perron, design-build contractor.